Welcome to all of our new and returning families! What a difference a year makes. All of the returning families will remember a dusty adventure last fall while we moved back into our newly renovated school. This year the halls are bright with new murals and our garden enjoyed some much needed updating. Thanks to all of the students, parents, teachers, faculty, and community members that helped with these projects. As we embark on another exciting school year, we are again asking for your support. It is through this support that we are able to provide the activities and other resources that help make our Longacre Community so special. For the PTA to be effective, your participation is needed. No matter your schedule, we can find ways for you to contribute. Your time, talents, ideas, and input are needed and appreciated! You will enjoy interacting with our kids and get to know other parents and support programs that truly make a difference in the lives of our students. 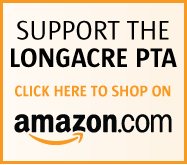 The PTA welcomes the participation of all parents, grandparents, guardians – any and all of the wonderful people who care about our Longacre students. No time commitment is too small – we will find a place for you. Please join us for our meetings, we offer free childcare for Longacre students during the meetings. All parents and teachers are encouraged to attend. To become a voting member of the PTA, we ask that families pay PTA dues of $18 for a family membership and $10 for an individual membership. Watch for our weekly emails that are sent on Thursday through the FPS ListServ email system to communicate with families. Click here to register: http://www.farmington.k12.mi.us/subscribe.php. If you are on Facebook, make sure to join the Longacre PTA page or you can follow us on Twitter @LeopardSpotsPTA. It is my pleasure to serve with a wonderful group of dedicated parents on the PTA Board as President this year and I look forward to getting to know you and your students. Please do not hesitate to reach out to me or to any of the Board members with questions or suggestions.